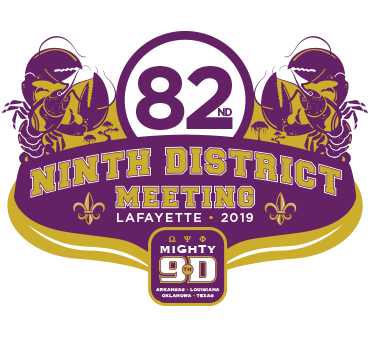 ﻿ Mighty Ninth District | ΩΨΦ Fraternity Inc.
GET ACTIVE, STAY ACTIVE... OMEGA NEEDS YOU! Providing resources to the Fraternity to engage active and inactive brothers. Establishing goals and metrics for the Chapters and Districts to maintain and grow membership. Increasing awareness through interaction, marketing, and social media. Click here to view District Reclamation Summary Reports. DON'T BE A STATISTIC!!! Find a chapter in your area and reactivate your membership. The Ninth District Life Membership Foundation, Inc., established in 2014, was chartered to aid organizations involved in charitable, educational, scholastic, and scientific pursuits. The Omega Psi Phi Fraternity Federal Credit Union continues to provide financial avenues for the fraternity’s members, families and employees.